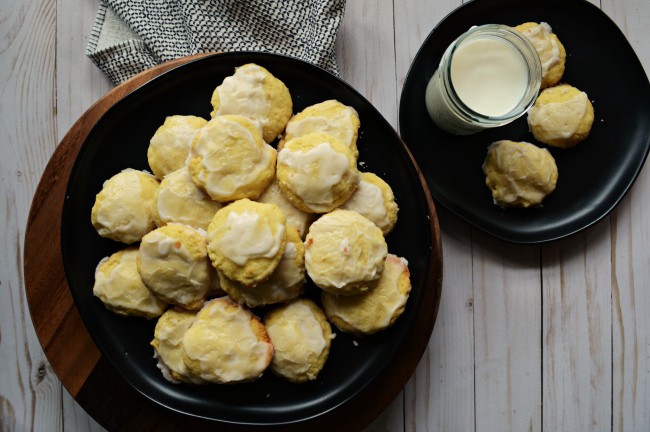 Little pillows of citrus heaven, that's how I would describe these cookies. One batch makes about 3 dozen and if I don't put them up immediately, my kids will eat them all in a day! When I photographed these, they ate through all but 6 in one afternoon. That's what I get for leaving them on the counter. They're not super heavy and dense like you'd expect, but they're not super light and airy either. They fit perfectly somewhere in between. They're more cakey and not crispy. The lemon isn't overwhelming, but the icing is bright and in your face, but not obnoxiously so. They're legitimately the perfect cookie. I make these every year as one of the many Christmas cookies I bake. I make double and triple batches of 5 to 6 different kinds, scoop or roll them and freeze them. I was a bit afraid of how well these little gems would freeze, since they had cheese in them, but I was very happy to learn they freeze just fine. I make them, flatten them, place them on a cookie sheet in the freezer for about an hour, then load them up by the dozen in freezer bags. When I'm ready to cook them, I place them on parchment lined cookie sheets, let them thaw and cook them like normal. 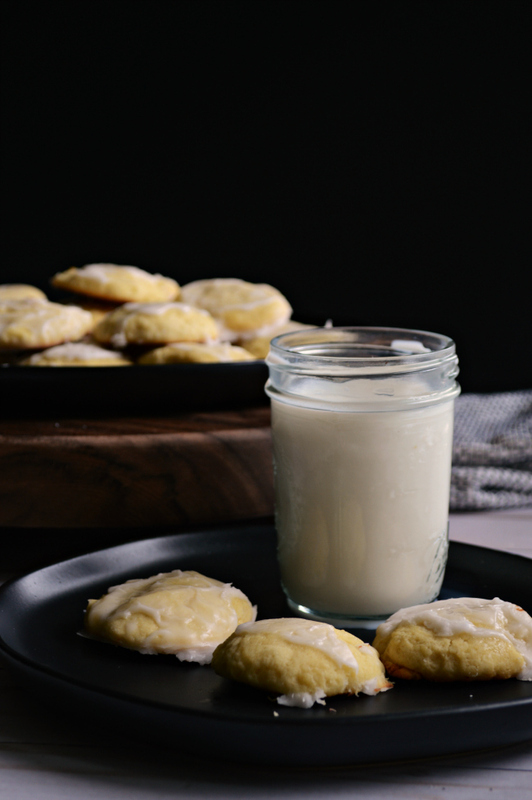 Even though I make these at Christmas, they're the perfect cookie for spring or summer. A dessert for a picnic, or cookout. They would also make wonderful teacher's gifts as well! Maybe I should get on that to go with the Starbucks gift cards I bought the boys teachers. They'd be amazing dipped in tea. Actually these would be absolutely perfect for an actual tea party. I could come up with so many reasons to justify making these cookies! Preheat oven to 350 F and line baking sheet with parchment paper and set aside. Zest, juice lemon and strain, set aside 3 tablespoons of juice for icing. Whisk together flour, baking powder and salt. In another bowl beat, butter, sugar and zest until fluffy. Beat in ricotta, eggs and extract. Beat in flour mixture. Scoop onto parchment and flatten into disks, using the bottom of a drinking glass, dipped in flour. Leave 1 ½ inch space between each cookie. Bake 15-20 minutes and allow to cool. 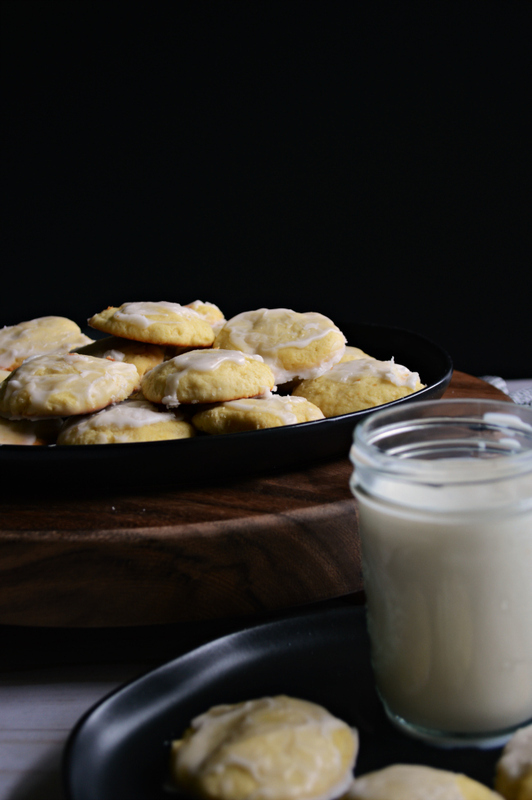 Stir together confection sugar and lemon juice and drizzle over cooled cookies. Allow to set up before serving. 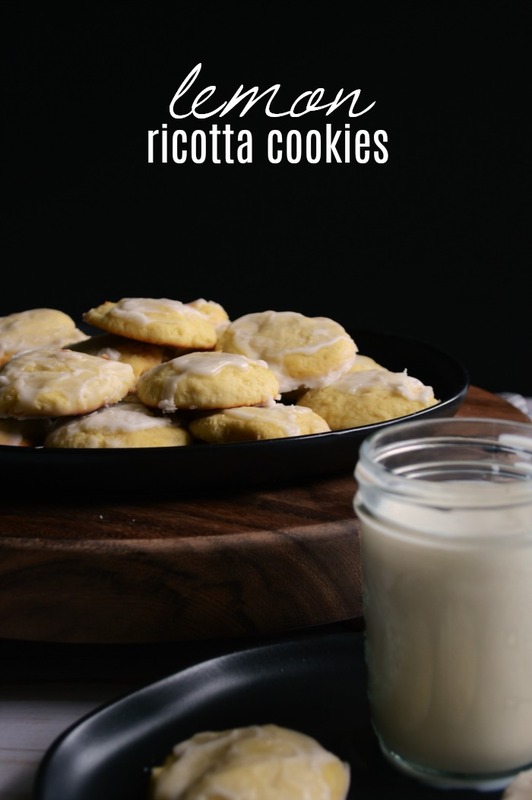 *If you are making dough ahead and freezing, scoop the dough onto a cookie sheet and flatten and place in the freezer on the cookie sheet, allow it to freeze for about an hour then fill a gallon bag and toss back into the freezer. When you bake them, either thaw and follow original bake time in they're still frozen add 3-5 minutes to baking time.